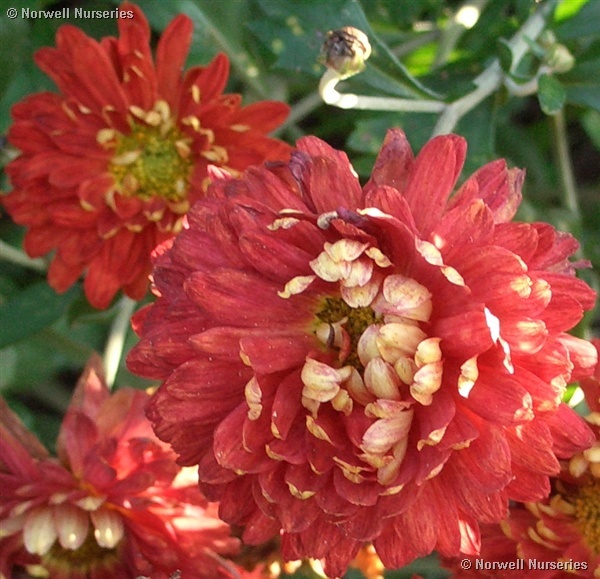 Chrysanthemum 'Brightness' A good red flowerd chrysanthemum similar to Rumpelstiltskin but flowering later, prolific and good. (photo does not do it justice!) Thanks to Judy Barker, NCCPG, National Collection Holder for this.